Personally, I don’t like this step (LOL) because I think I change my theme at least twice a year because I’m unhappy with the look anymore, because there’s something much better. I want to level up, improvise and go out with the new look to impress everyone. But I don’t change the theme every now and then, like every month or week. I change the theme when I’m browsing the websites of Blogger themes and check out the latest ones and be able to see and compare that my theme is totally ugly. What’s important of picking a theme and to stick with it is that, people will not adjust to the new look every now and then. Just like Facebook, I was pissed when they changed it to timeline (until now, because I’m not used to it) and when I get used with this look and feel, then change it again (what are they going to call it? Dateline?) I have to adjust again! There are people like me (I guess) that rather learning the new stuff, new ways on the website, I’d rather go for a site that is more stable and less clicks. So if you’re like me who keeps on changing the look, give the theme with at least 6 months before you change it. It’s actually tiresome to keep on changing, so I really don’t get it if you go with one theme to another every week because it will totally cost you money and your time! So pick the best one, the look that you fall in love at the first sight, the one that could express you to your readers and of course the theme that would also make your readers comfortable. Also, having a theme on your blog is important. This will tell and mean that you’re trying to build a real blog and not a blog that is full of spams. 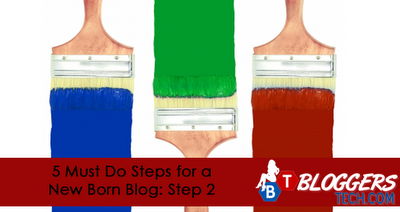 It will help your readers to identify that you’re real and that your blog is not a spam. So avoid using the defaults, your readers may get discouraged by the first time seeing your blog. Anyway, changes cannot be avoided and who doesn’t want to have a better and more attractive blog right? But don’t change it every now and then, this doesn’t mean you won’t or should never change your blog theme after a hundred years , this just simply means that don’t give your audience too much changes because it can be totally tiresome even for readers.